Does having an album with 7 minute long songs that reaches almost 80 minutes in length make it epically awesome or just tiresome? The answer is both, depending on where you are in the thing and if you're planning on listening to it all in one sitting (not recommended). 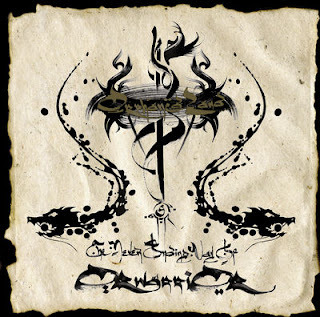 Luckily, for those not planning on devoting a whole feature length movie in time at any one point, Orphaned Land delivers a ton of Arabic inspired goodness in every individual song. Now, as much as I got worn out on some of the pomp and circumstance of an Israeli group's magnum opus that heavily involves traditional Islamic and Jewish themes, the long time frames work in their favor on tracks like "The Path" parts 1 and 2. I still would have preferred more catchy, short, and sweet tracks like "Sapari" than these mammoth numbers, but the quality of the songs mostly isn't an issue and the epic scope can help more than hurt in some cases. I suggest listening to the album's three separate parts separately, Part I (tracks 1 -6) being the best, Part II (7-12) losing some steam but mostly maintaining the album's appeal, and Part III (13-15) being last but not least and ensuring the album leaves off on a high note with "Thy Never Ending Way". The vocals are very well done, with both female and male vocals that are smooth enough to appeal to non metal fans, and a male snarl that's right on target. Fans of solos, string sections, and neat acoustic guitar work will also be quite pleased.